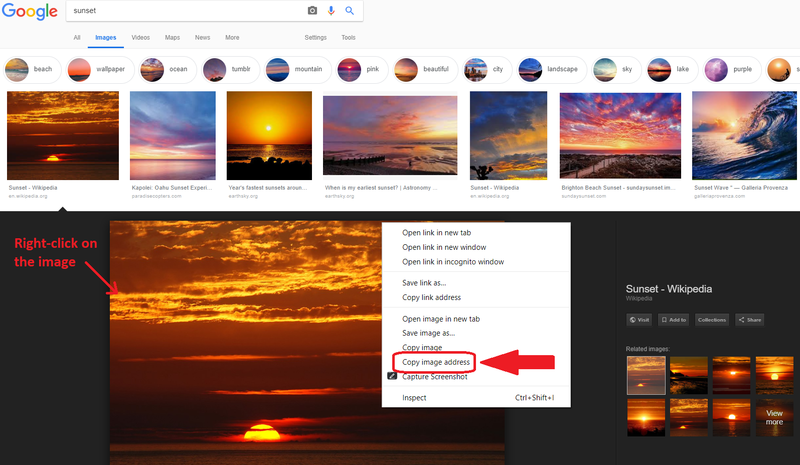 How do I upload an image from Google Images? Start by creating an image item on Sutori. Then go fetch the URL/link from Google Images. Right-click on an image (see screenshot below) and select “copy image address”. You can then paste the link into the image item on Sutori.